Jane Hegland, associate dean of the College of Education and Human Sciences and head of the Department of Consumer Sciences at South Dakota State University, has been a champion of the richness and positive values gained by increasing quality of academic programs, internationalization practices and sustainability efforts on campus and across the region. Hegland’s career as a visionary leader, teacher and researcher has inspired and benefited students, colleagues and campus leadership. In 2001, after earning promotion and tenure at New Mexico State University, Hegland joined the faculty at SDSU. During 15 years of leadership, her department has grown in complexity and currently includes apparel merchandising, aviation education, consumer affairs and hospitality management. Also included in the department are four stand-alone minors in events and facilities management, financial counseling, leadership and leadership and management of nonprofit organizations, along with two SDSU Extension programs in community development and family resource management. Hegland has successfully led accreditation and reaccreditation efforts for interior design (which recently moved to the SDSU School of Design), aviation education and hospitality management. In 2008, Hegland was promoted to associate dean for the SDSU College of Education and Human Sciences. Her primary responsibilities include providing leadership and support in the areas of curriculum management, faculty development, foundation and alumni affairs, internationalization practices and processes and sustainability efforts. In 2010, she was the first recipient of the SDSU Award for Global Engagement for her work on internationalization efforts. She was named as Phi Kappa Phi Lecturer for 2009 for her international work. She is co-founder of Plain Green, a conference focused on stewardship and sustainability, that has delivered world-class speakers, many of whom are TED Fellows. 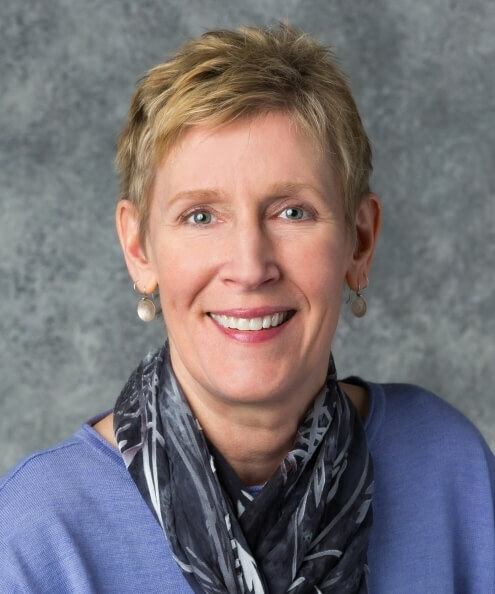 Hegland received her doctorate from the University of Minnesota, and, over the course of her career, has authored and co-authored over 50 scholarly articles, book chapters, conference proceedings and technical reports. She has jointly garnered nearly $800,000 in competitive grants and funding. She currently serves as vice president for planning for the International Textiles and Apparel Association.In that role, she oversees and provides direction for the strategic planning committee, the international relations committee, the culture and industry learning tours committee, the external relations committee, the philosophical mission committee and the bylaws review committee.